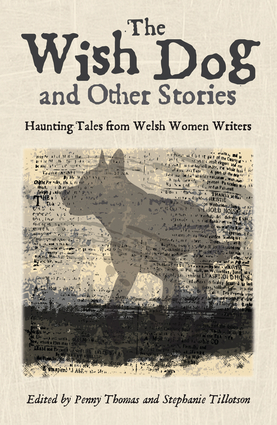 Haunting tales from Welsh women writers 18 short stories that will stalk your dreams... The Wish Dog and Other Stories takes you into the realm of the unknown, the ghostly and the gothic, in a colorful kaleidoscope of half-glimpsed shades. The title story, "The Wish Dog" conjures up a fetch – a lifetime companion much wanted; "Harvest" is a haunting reworking of "Babes in the Wood"; "Sovay, Sovay" tells of a Grand Guignol actress who loses her head to a dream of romance and returns with a thousand stories to tell to her bewitched audience; in "Broad Beach" a man who has had a close encounter with death has dreams that seem larger than life – what he wants most is to run, like the athlete he watches at the tideline each day. Other tales feature a ghostly mansion in a Merthyr park, a lonely soldier permanently on guard, the angel of death and a would-be suicide, a lonely Inuit asleep on a mountainside, a row of small wet footprints on floorboards... Open the pages if you dare, but don't forget to look behind you. Penny Thomas is fiction editor with South Wales literary publisher Seren and publisher with children's press Firefly. An English graduate, journalist, and former Honno editor, she has worked with many top Welsh fiction writers. Stephanie Tillotson began in broadcasting, working for the BBC in television and radio. Since when she has worked extensively in theatre as a writer, director and performer. She is currently writing a PhD on theatre practice and is a huge supporter of new writing.